Okay, I admit I’m not being fair here. Obviously there is little chance that Michele Bachmann could ever become President of the United States, so the scenario is clearly unreasonable. Much ado is being made over the revelation that tea party favorite and Republican candidate for president Michele Bachmann gets frequent and severe enough migraine headaches as to adversely affect her job performance as a US Congresswoman from Minnesota (though given her total absence of legislative activity, it’s unclear to me how they decided her job performance was being affected). The argument is whether she is “fit for office.” Political pundit Chris Cillizza of the Washington Post has an interesting piece today examining that aspect, so I won’t belabor it here. Bottom line, if her headaches are keeping her from doing her job as a Congresswoman from a mid-population state, she most certainly can’t be trusted to act as leader of the free world. But isn’t this really a moot point? Bachmann is strongly supported by the tea party, which is known for backing such stellar non-candidates as Donald Trump, sees no problem supporting Herman Cain’s anti-Muslim bigotry, is a safe haven for birthers, bigots, and bashers, thinks Sarah Palin could run the USA despite her quitting her pretty easy Governor’s job, and in Palin’s apparent absence immediately rushed to Bachmann despite her nearly constant barrage of falsehoods, anti-gay bigotry, and seemingly bizarre statements. Of course, the tea party is chomping at the bit for someone new (anyone new) and in the event that Rick Perry (or whomever else is named “savior-of-the-week”) gets in the race will drop Bachmann like the stock market crash that will follow the tea party-induced default of the US and world economies. In short, the tea party has proven itself to be irresponsible and hypocritical at every turn, besting it’s irresponsibility only by its sheer lack of critical thinking and lack of adult behavior. So if Bachmann ever gets near the White House, look out for China. They may just decide to wipe out the debt we owe them and start over. I agree that Bachmann isn’t electable, PGH. However, I can foresee a Romney-Bachmann alliance. What are your thoughts on this? Not a chance. The tea party is Romney’s biggest obstacle for the nomination. If Romney gets the nomination it will be because the tea party was deemed too irresponsible to be anywhere near the White House. So picking her as VP would be counterproductive for the general election. 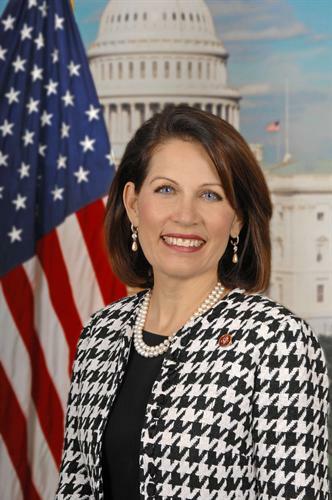 Obviously no Democrat would vote for a ticket with Bachmann on it, and the same will be true for Independents if Romney is the Republican nominee. Add to this the recent memory of the general electorate with women tea party types as VP nominee. Palin certainly enthused the far right wing element of the Republican party, especially the extreme social conservatives that are anti-gay, anti-Islam, anti-anything not WASP. Instead of focusing entirely on the economy, which is what Romney wants to do (and must do), he would be spending all of his time either covering for Bachmann’s followers or trying to shut her away from the media. Sound familiar?